The operating room is the core of the healthcare facility. Our prefabricated modular systems reach the highest hygienic standards for state of the art controlled bacterial contamination environments. There are several types of intensive care units. Our prefabricated modular walls and doors with transparent glazed panels allow the patient to always receive a continuous monitoring. The nephrology units feature stations dedicated to dialysis. The flexibility of our systems allows to accommodate the specific equipment for this treatment. 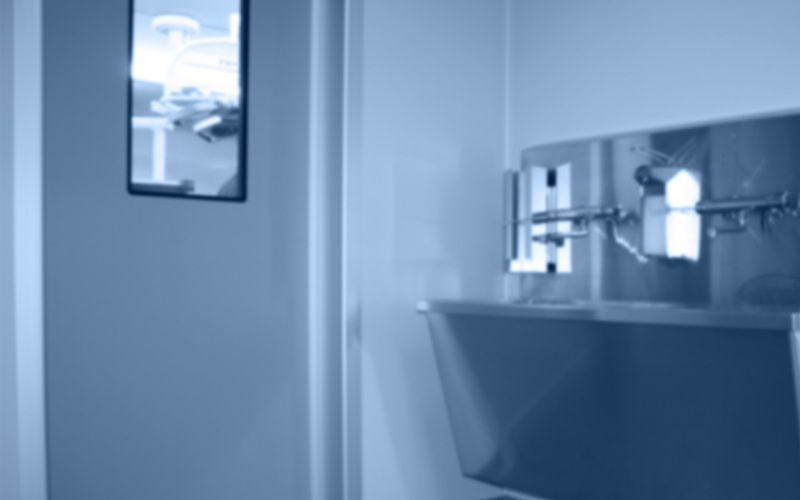 The hygienic performance of our solutions with stainless steel panels are suitable to reach high levels of microbiological safety required in environments such as the central sterile services departments.